Florida Hospital tied for the No. 1 spot of best hospitals in Orlando in a new report from U.S. News & World Report. 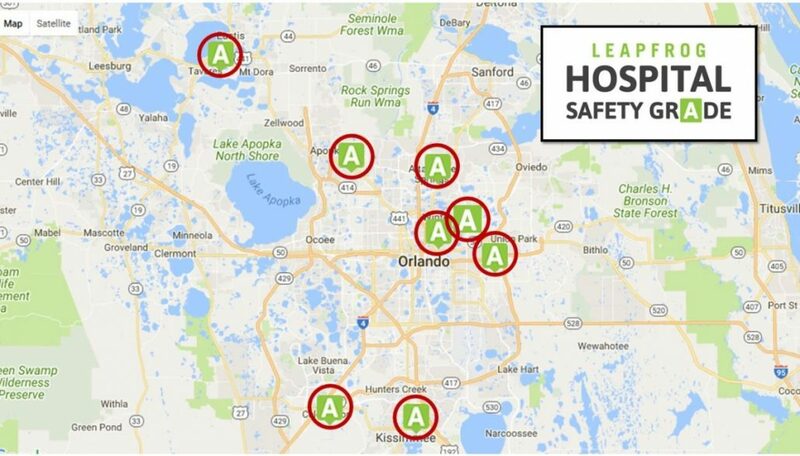 Florida Hospital, one of five Central Florida hospitals to get a “best” designation, tied with Orlando Regional Medical Center for No. 4 in the Sunshine State, according to the publication’s 2017-18 rankings published Tuesday morning. They both also were rated as high-performing for nine adult procedures/conditions. Adventist Health System (AHS), which includes Florida Hospital, has been named a 2017 Gallup Great Workplace Award winner. This marks the seventh consecutive year that AHS has received the award, which recognizes organizations for their extraordinary ability to create engaged workplace cultures. To be considered for the award, organizations must administer an employee engagement survey to at least 50 respondents representing a census of the organization, receive a high, qualifying response rate and earn a qualifying score on Gallup’s Q12 employee engagement survey. A panel of Gallup workplace experts evaluates applicants and assesses them against criteria established by a comprehensive workplace study. Florida Hospital’s President and CEO Daryl Tol listed as one of sixty of the most powerful people in healthcare. Power can be measured by size, expertise, revenue, political authority or social influence. Becker’s Healthcare believes Daryl Tol possess and exhibit power in all of the aforementioned ways, if not more. From the pediatrician who sounded the alarm on the water crisis in Flint to the journalist who exposed one of healthcare’s most volatile startups, each of 2016’s most powerful people exercised their unique expertise, authority, and position to bring about change. As of 2016, Adventist Health System, which includes Florida Hospital, is a six-time winner of Gallup’s Great Workplace Award. The faith-based health system has more than 45 hospital campuses and 8,200-plus licensed beds in nine states, with more than 80,000 employees. It also operates urgent care centers, home health, hospice agencies and skilled nursing facilities. Employees at the health system’s hospitals have the opportunity to volunteer in their community; more than 500 Florida Hospital employees participated in central Florida’s second annual Day of Caring last year. View the complete list of recognized organizations.